Lost: 25 Sep, 1942 "Scuttled" and sank in East Indies, South coast of Timor, in position (09 -15'S,125- 45'E) after being damaged by a Japanese air attack. whilst landing a Dutch / Australian guerilla force at the time of her loss. History: Completed as HMS Voyager on 24 June 1918. Transferred to Australia and commissioned into the R.A.N. on 11 October 1933. 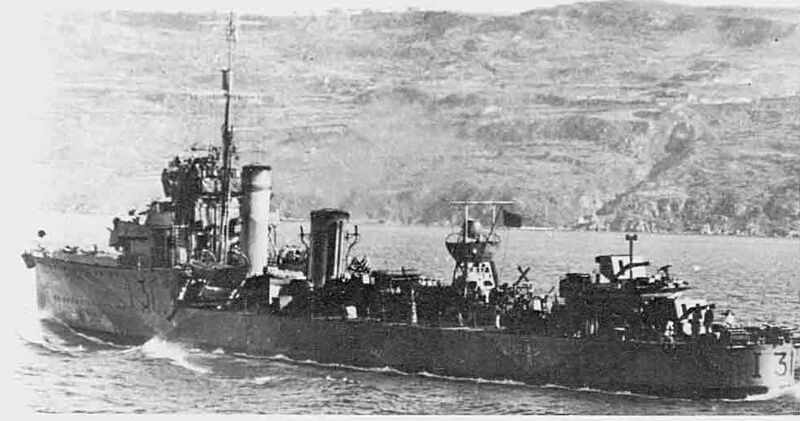 The Italian submarine Console Generale Liuzzi was scuttled south off Crete after being depth charged by the British destroyers HMS Dainty, HMS Ilex, HMS Decoy, HMS Defender and the Australian destroyer HMAS Voyager. 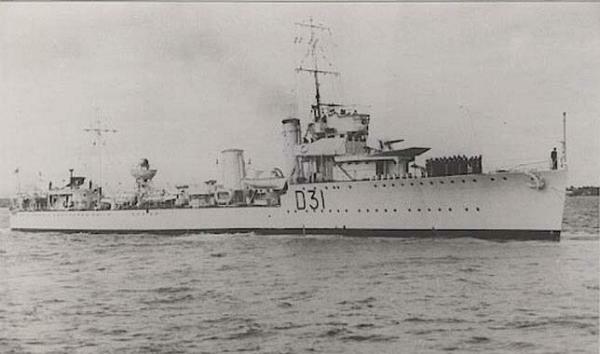 On 29 June 1940 around 0615hours the Italian submarine Argonauta (offsite link) was probably sunk near Cape Ras el Hilal, Libya by the British destroyers HMS Dainty, HMS Decoy, HMS Defender, HMS Ilex and the Australian destroyer HMAS Voyager. It is also possible the Argonauta was depth charged and sunk around 1450hours that same day by Sunderland L5804 (R.A.F.) in position 37.29N, 19.51E.